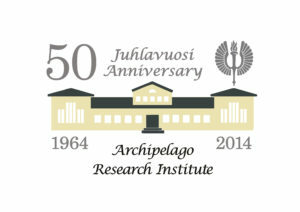 Archipelago Research Institute of the University of Turku has operated on Seili island since 1964. The Institute participates in multidisciplinary research of the Baltic Sea with a special focus on the Archipelago Sea. 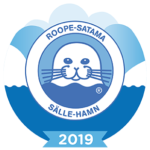 In the core of its internationally renowned research is long-term environmental monitoring and statistical modeling of the state of the Baltic Sea. The Institute studies not only the sea but also for example tick species such as the castor bean tick (Ixodes ricinus) and Taiga tick (Ixodes persulcatus), which numbers have increased in Finland and in Europe in recent years. The Finnish Tick project studies for example the abundances and distribution ranges of the species as well as estimates the abundance of vectors of tick-borne diseases such as Lyme borreliosis and tick-borne encephalitis (TBE). The Institute is counted among one of the pioneers in its field. In order to monitor the state of the sea, the Institute’s staff has been collecting comparable water samples since 1966. Thanks to this farsighted work, the Institute now has over 50-year long time series. The study of time series and their statistic modeling helps researchers to understand how the Baltic Sea functions as part of the global water flow. The time series proved to be invaluable in the 1990s when the climate change research in Finland began. The research done at the Institute is therefore an excellent example how valuable persistent basic research is. The data collected in Seili has given information on for example why the mean size of the Baltic herring has decreased 20 and why fishermen no longer catch flounder (Platichthys flesus) in the Archipelago Sea. During its 50th Anniversary celebration in 2014, the Institute organized several events to its stakeholders and tourists. The highpoint of the year, a chronicle commemorating the Institute’s history over the past 50 years, was released in November 2014.